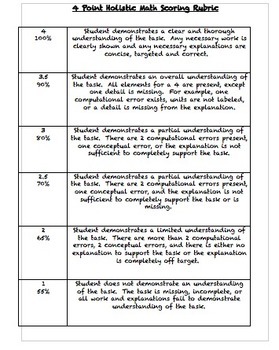 This is a holistic math scoring rubric. It is very open ended and can be applied to nearly any math activity or grade level. It includes descriptions of general concepts and errors that may occur and percentage correlations. It also includes space for teacher comments.